Metals and Mining labs depend on time-critical testing at all stages of the mining life cycle. From early exploration through to production, labs depend on Online LIMS to support strict QA/QC requirements, maximize production times, improve testing quality, and offer flexibility to meet the needs of individual clients. Whether you are conducting routine product quality testing, or batch environmental sampling, Online LIMS supports strict SOPs with results integrating seamlessly into your network. 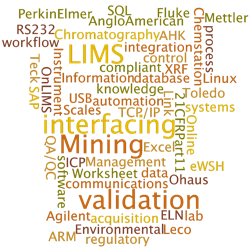 Since 1988, Online LIMS has supported the metal and mining industry with solutions for the lab and the field. It is our goal to help you achieve the ultimate in flexibility so you can maximize your production and deliver exceptional service to your clients.